For this project, I worked with a local brewery in Harrisonburg, Virginia called Brothers Craft Brewing. They were in need of a name, a label design and a branding package for a new beer they were releasing; it was a barrel aged Scottish Wee Heavy Ale. I sat down with the owners and they described how the new beer was going to taste. I did some research and discovered that the Shenandoah Valley was home to many Scottish settlers and these people worked primarily as blacksmiths. 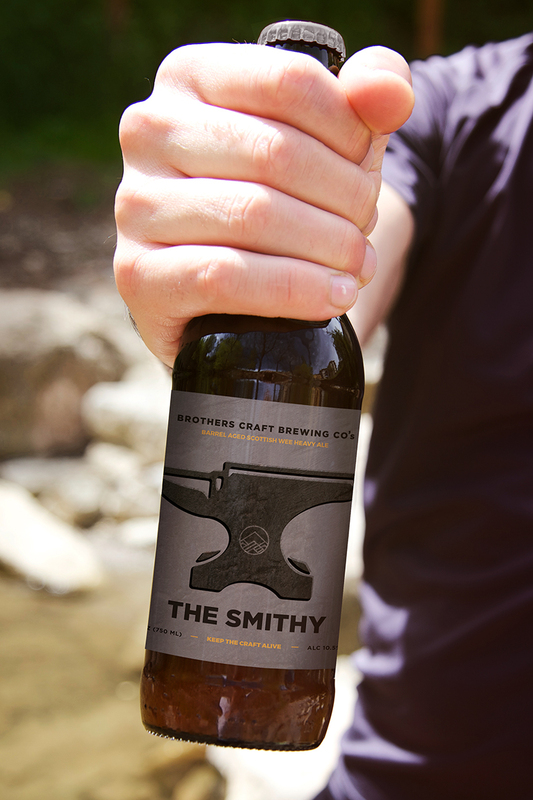 I decided to call the beer “The Smithy” because that is the workplace of the blacksmiths. 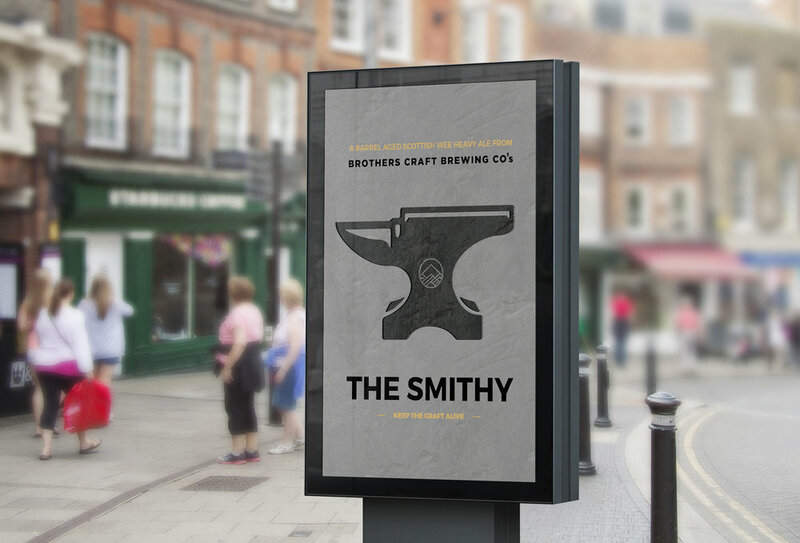 I used the anvil is a strong symbol relating to the craft with the tagline, “Keep the Craft Alive”. 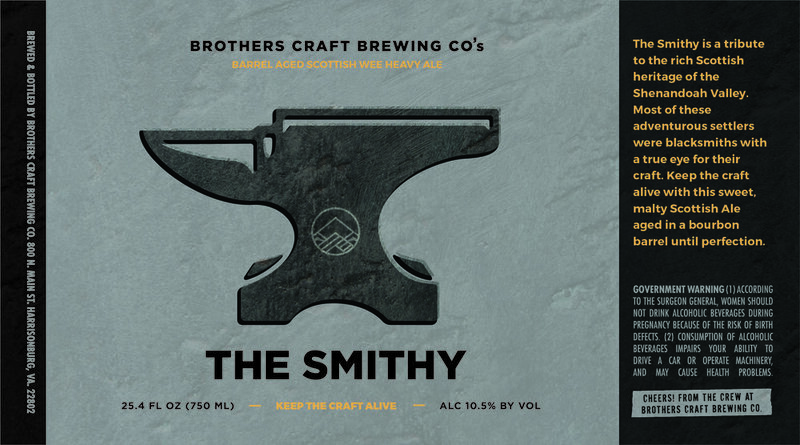 Here is my description of the beer: “The Smithy is a tribute to the rich Scottish heritage of the Shenandoah Valley. Most of these adventurous settlers were blacksmiths with a true eye for their craft. Keep the craft alive with this sweet, malty Scottish Ale aged in a bourbon barrel until perfection.” I went with a rugged metal texture and a pop of caramel color to match the sweet taste of the beer. I carried all of these aspects throughout the entire branding package.